One year ago it still seemed unlikely, but now Japanese government actually unveils its plans for a nuclear phase out in the 2030s. In June 2012, we decided to end our documentary Radioactivists on optimistic terms, hoping that the anti-nuclear protests would grow bigger and bigger and eventually call the government’s attention – now, when we talk after film screenings, it’s unbelievable, even for us, how far anti-nuclear protesters got. After receiving 80.000 letters of citizens demanding the nuclear phase out, prime minister Yoshihiko Noda gives in and announces the government’s plan for a nuclear phase out. It seems almost ironic, that the politician who had been preaching the return to nuclear energy, now chooses this path to raise possibilities for his re-election. Hi dear RADIOACTIVISTS out there! Some time has pased since Clarissa kindly presented my short-video “Voices Against Indifference” and I really feel that now it’s my turn to give you some news! Since the last blog entry some time has pased…summer has come and is nearly gone already if I see the colour of the leaves of the trees here in Northern Italy were I currently am. In Japan, summer is not over, in contrary, it’s still really hot and humid. However, tens of thousands of citizens have continued to chant against the restart of Japan’s nuclear reactors. They didn’t stop for summer vacation, but organized protests against nuclear power and the miss-action of the japanese government throughout juin, july and august. 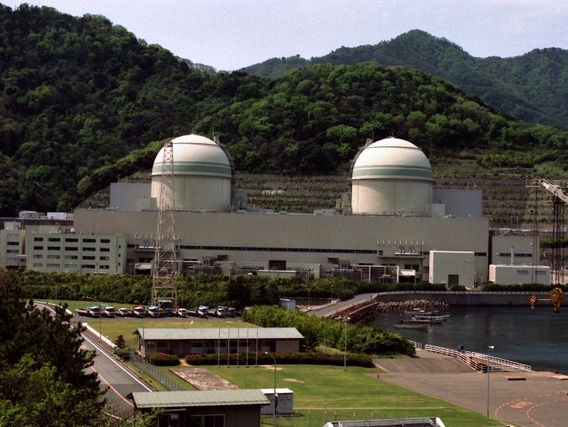 On June 16, Prime Minister Yoshihiko Noda decided to restart the Oi nuclear power plant in Fukui Prefecture. 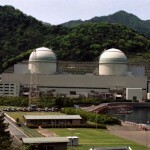 On July 5 it became the first reactor to be restarted since the Great East Japan Earthquake on March 11 of last year. Restarting Nuclear Reactors? Restarting Protest! Two weeks ago, prime minister Yoshihiko Noda announced the decision to restart the nuclear reactors in Ōi (Fukui). And today at 9pm Japanese time the first reactor out of 52 has been officially restarted. This has been accompanied by the most massive protests Japan has seen since the 1960s: not only in Ōi but nationwide hundreds of thousands of people gathered, shouting “No restart” or “Stop Noda”. 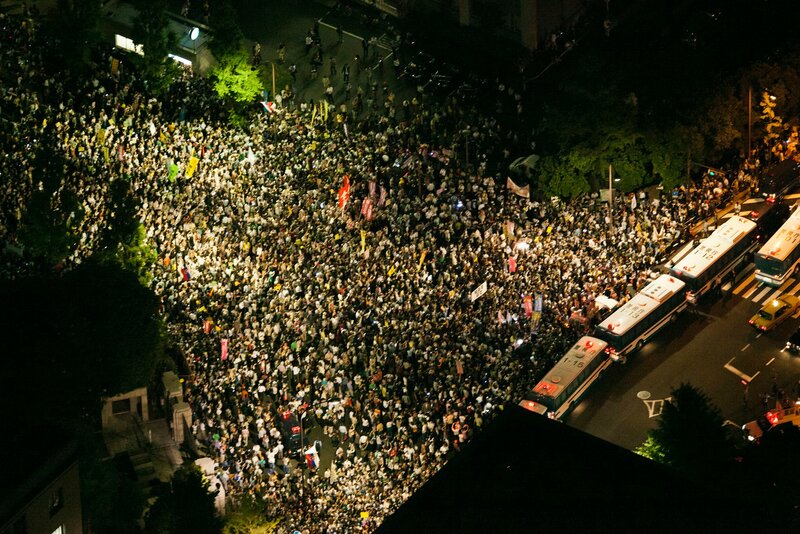 On Friday, June 29, more than 150.000 people gathered in front of Noda’s residence in Tokyo. The demonstration has been organized by the Metropolitan Coalition against Nukes, which has been active since March 2012, gathering 45.000 people just one week ago. For more than three months they have been organizing peaceful demonstrations against the restart of nuclear reactors in Japan. But their last demonstration sure was a miracle: Despite of the masses of people, nobody got hurt or arrested. 150.000 people gathering in front of the Japanese prime minister's residence on June 29. Meanwhile, hundreds of people tried to block the entrance to the reactors in Ōi and stop workers from entering the power plant. And of course people protested in other Japanese cities, in Ōsaka for example. Live streams via Ustream made it possible to follow these demonstrations all over Japan for the whole weekend. Under the slogan “Stop nuclear power plants! Stop Noda!” the Amateurs’ Revolt, which we focussed on in RADIOACTIVISTS, held a demonstration as well on July 1. You can see some pictures here. Another action took place at the other side of the world: In New York, people from Todos Somos Japon showed solidarity with the Japanese protesters and conducted a hunger strike in front of the Japanese consulate. Articles in English are also available in Mainichi and the NY Times. Unfortunately we have to start this blog post with sad news: After our last entry where we pointed to the cut off of the last Japanese reactor, we now have to announce the ending of this situation. Last weekend ‘Kansai Electric Company’ (KEPCO) turned on the reactors of the nuclear power plant in Ooi and thus ended the 6 weeks long period of a nuclear free Japan. A collective of anti-nuclear activists published an open letter calling for solidarity actions and protests against this. Please read here for further information.